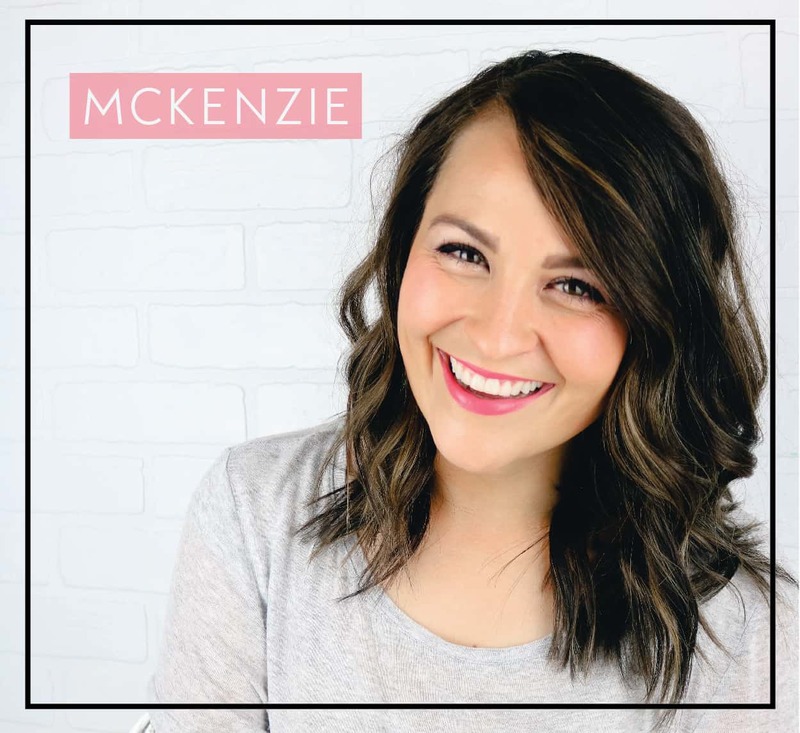 I am SO excited to announce something pretty huge coming this year! 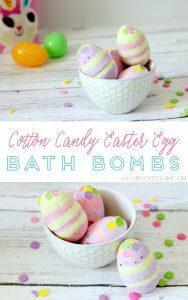 After receiving several requests to share bath bomb recipes, I will be sharing a new bath bomb recipe once a month! 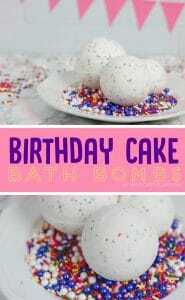 Each month in 2017, I will bring a new bath bomb recipe that is themed for the month. 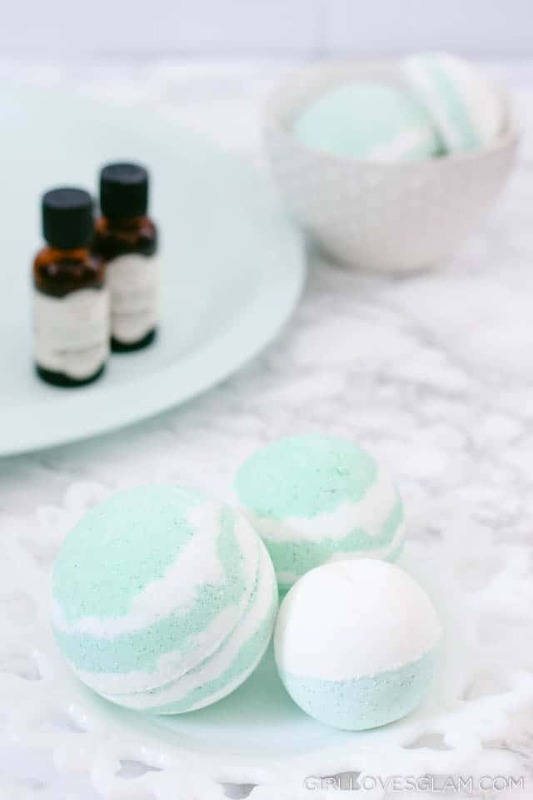 I have some really fun bath bomb recipes and ideas in the works for you! 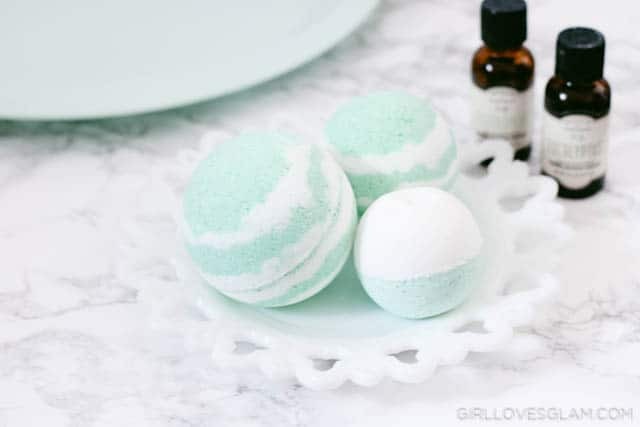 To kick it all off, I have the perfect bath bomb recipe for cold and flu season! 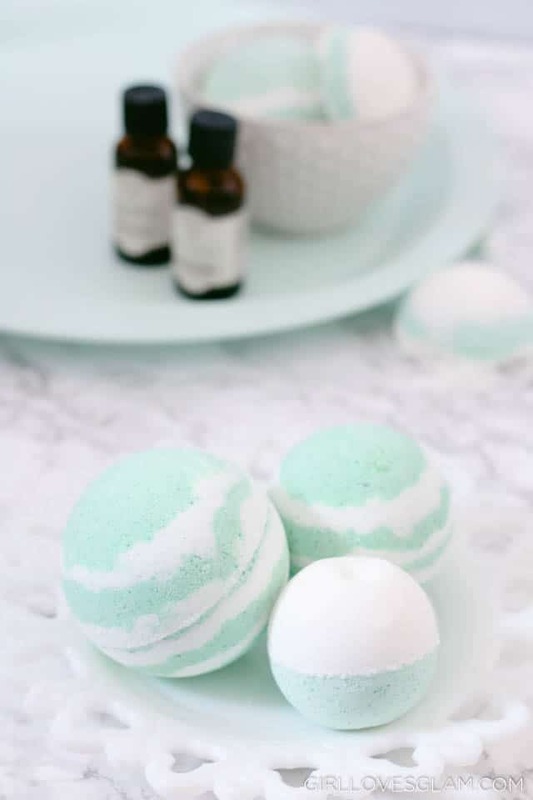 This bath bomb helps clear out sinuses and relieves achy muscles at the same time. 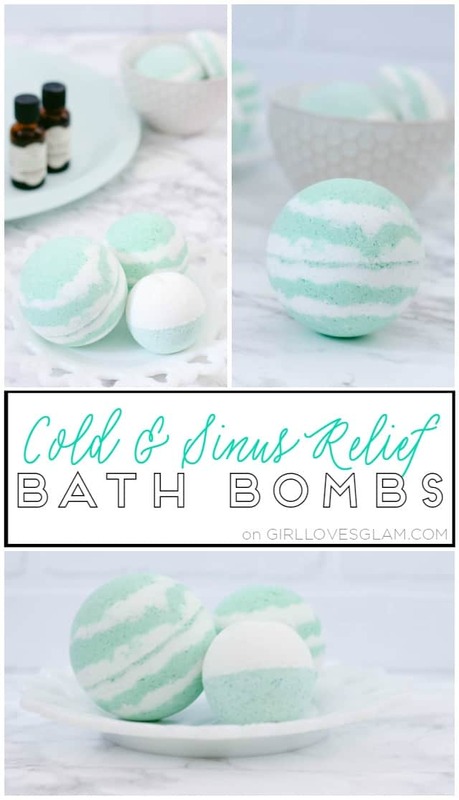 They can be used like traditional bath bombs or they can be put in the shower to steam up and clear out your sinuses if taking baths isn’t your thing. Here is a great deal on a bundle with baking soda and citric acid together! 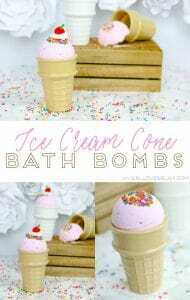 To learn to make these bath bombs, watch the video I made when I made these! I will also have written instructions below the video so that you can go back and get any instructions that you need, without having to watch the video again. First, add all of your dry ingredients (baking soda, citric acid, corn starch, and Epsom salt) into a bowl and mix them together. Put coconut oil in the mixture and mix together by squishing it with your fingers. 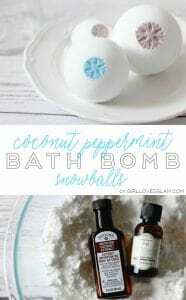 Do this until there aren’t any big clumps of coconut oil in the mixture. Put half of the mixture into a different bowl. Add peppermint essential oil to one bowl and eucalyptus essential oil to the other bowl. Don’t put too much of the oil in because both of these oils are pretty strong. If you are using an oil that isn’t 100% pure and is more of a fragrance oil, you can use about 10-15 drops of each oil. If your oil is pure oil, I would cut that amount in half. In the mixture that the eucalyptus is in, add green food coloring. I used about 7-10 drops. Make sure to quickly mix the food coloring into your mixture or else it will start reacting to the moisture. Spray about 4 sprays of witch hazel into your mixture at a time. Spray and then mix it up and spray more, until your mixture is the right consistency. You want it to be slightly damp, but not wet. Damp enough that it will stick together when you grab a handful of it, but you don’t want it to be as wet as sand when you are building a sand castle. Only spray about 4 sprays of the witch hazel at a time, or your mixture will start reacting to it. 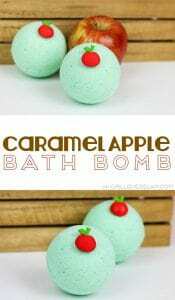 Take turns layering the different mixtures into the bath bomb molds. This creates the fun stripe design on them! Of course this is totally optional, but it makes you feel a little fancier to do it this way. 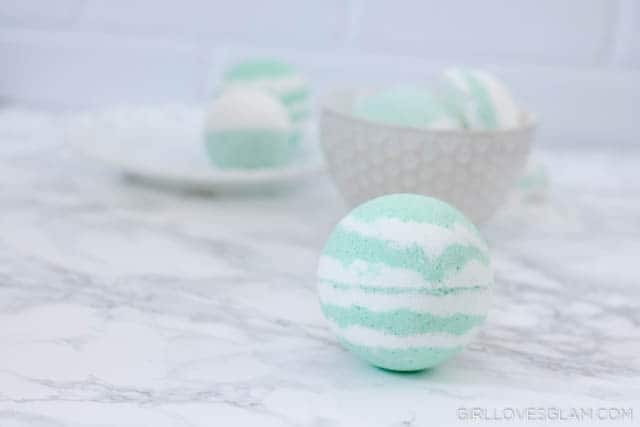 You could also fill up half of the bath bomb mold with one color and the other half with the other color and get the same effect, just not quite as fancy. Once your molds are full, put them in the freezer for about an hour. Carefully take the bombs out of the molds. You can use them right away, but if you are planning on packaging them up to give away let them dry for a few more hours. 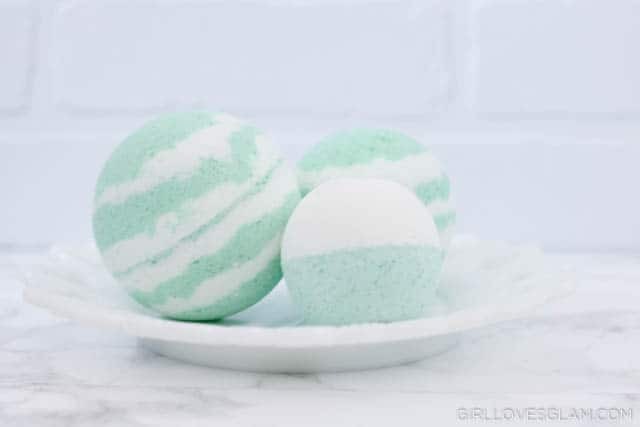 I think that making these monthly themed bath bombs and packaging them all up together would make such a fun Christmas gift! 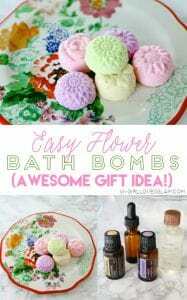 You would be able to give someone a fun bath they can indulge in each month for a full year! 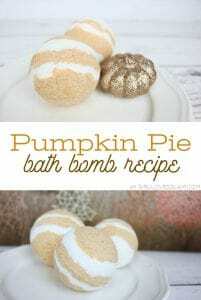 Be sure to check back next month for another fun bath bomb recipe! These are so great! I’ve been looking for a homemade recipe. Peppermint and eucalyptus are two of my favorite fragrances as well. Perfect for a cold! I loved this recipe. This was my first time making this. I’m not sure what I did wrong but once we took them out of freezer and set out to dry they began to crumble. Is there a step I missed or something else? So sad right now. 😞 Please help!!! P.S. On the plus side I now have fizzy bath salts!!!! If they crumbled, it means you didn’t use enough liquid. It definitely takes some practice before you figure out what just the right consistency feels like! How many does this recipe make?? It depends on how big of molds you are using, but I usually get about 3 with the sizes I use. thanks for this great tutorial! I’ve never made bath bombs before so I’m a little unsure of the process. how long can you keep them out at room temp once you take them out of the freezer & they’re molded? Is there a certain amount of time they are good for until you decide to use them? If you put them in a bag or container of some sort, they can last several months! OMG I can not wait to try.. My daughters 6 and 9 are excited to try because according to them ” Mommy we have a lot of allergies to fizz away.” Thank you. 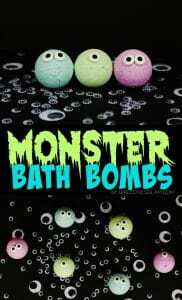 Oh, do you have anything ideas for bath bombs for kids or adults with eczema? 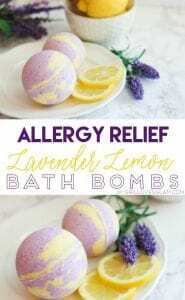 Did you see my allergy relieving bath bombs? Those sound like they would be perfect! I haven’t made any specifically for eczema. I would actually recommend just making a plain one without scents or one with lavender or frankincense in it. Not sure if this is normal, but once I took them out of the freezer to continue to set/dry, they started reacting…. they now look slightly enlarged and were soft the touch (didn’t crumble tho). I’m guessing it’s condensation from ‘thawing’ from the freezer. Haven’t tested the fizziness yet. Did I do something wrong? It sounds like you used too much witch hazel in it. When there is too much moisture, it will start to react. Where did you find essential oils and fragrances? They are linked above when I give the ingredients listed! Probably. I haven’t ever tested it with just water.